Morning friends <3 Happy Indian Food Wednesday 😀 Hope your day is going well so far! I went crazy for this stuff pretty much all last summer, so I was excited to pick up a bag at the health food store. 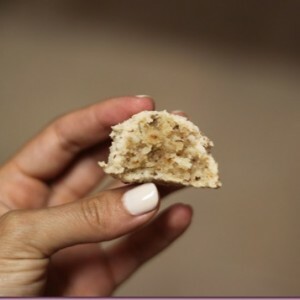 Instead of just being chia (which is excellent for Omega 3s, hydrating, and assists with joint and eye lubrication), this has a mix of other things too, such as hemp seeds, pumpkin seeds, buckwheat groats, dates and dried fruit, etc. 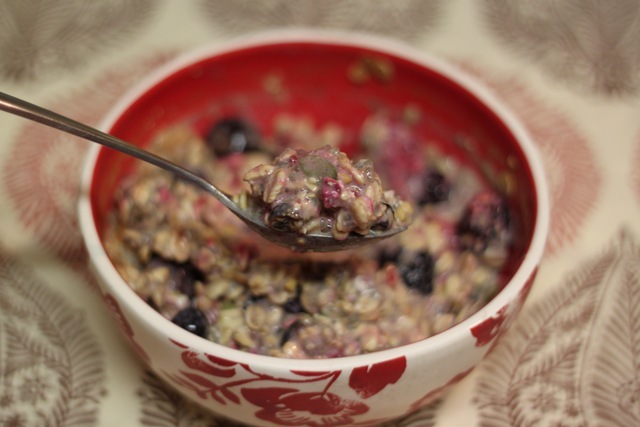 I’d never tried the cranberry ginger flavor (always roll with chocolate), and made some overnight chia protein oats to be waiting for me in the morning. 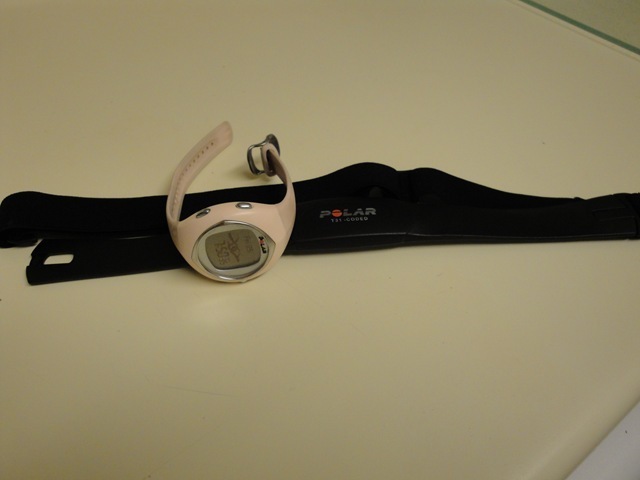 I used to have the Polar F6 (in pink!!) but I left the watch part in Orlando (insert major sad face) and have had such an impossible time ordering a new one. Amazon and quite a few other websites are sold out. It kind of looks like a funny egg. Since I have a gluten-free bun in the oven, I thought it would be a good idea to start using a heart rate monitor again to make sure my heart rate stays in a good (not too cray cray) zone and that I’m also getting enough fuel for my teaching and assisting at work. Up until now, I’ve been going by the talk test –can I say “I have a gluten-free bun in the oven” without gasping? Ok good- but think it would be a helpful tool to bust out again. 1. It’s a great way to know how hard you’re pushing yourself and if you can push harder. The first time I used my Polar F6 (about 3 years ago), I was surprised to find out that I wasn’t recovering completely in between my HIIT intervals, and that I could take my cardio to the next notch. 2. 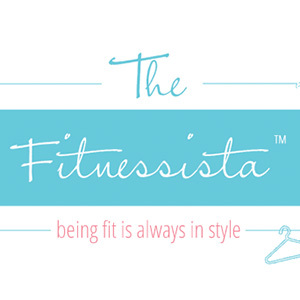 It tracks calories burned (for the entire week, too! ), which can help with assessing fuel. On my teaching days, it let me know how many additional calories I was burning so I could plan my fuel accordingly. 3. It’s customizable to YOU. Heart rate monitors will usually let you input your age and weight, and will adjust your target heart rates according to what activity you’re doing. It will be able to tell you where you should be each training zone, or you can preset these numbers if you know which percentage of your maximum heart rate that you’d like to train at. 4. They’re fantastic for races. Having a heart rate monitor helped me gauge my exertion from the beginning, so I could keep from pushing too hard too quickly and burning out. I also liked the fact that it has a timer on the watch for when you start the activity level, so you know how long you’ve been going for. 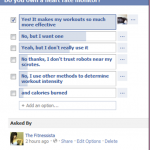 Do you train with a heart rate monitor? What are some of the benefits you’ve noticed? I have been wearing a Bodybugg for the past 2 years. It’s great at tracking how many calories you burn and also has a program to input calories you are consuming. But, I’ve decided to give it up. After wearing it for 2 years, I pretty much know what I’m burning during my workouts. However, maybe a heart rate monitor would be good to track my heart rate during my HIIT training 🙂 For calorie counting, I use the app myfitnesspal. 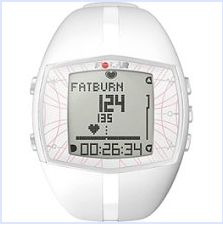 Let me know how you like your Polar watch, I have tried a Polar heart rate monitor and I loved it! And I am not impressed with my Garmin, so I really want to get a Polar I just don’t know which one. 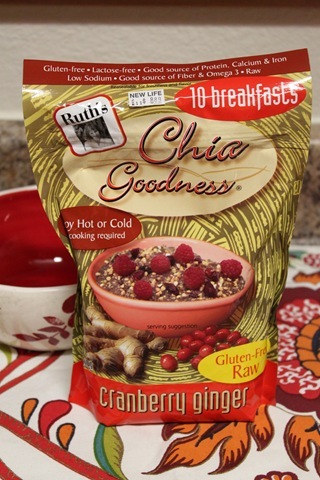 On another note, if chia seeds can solve my dry eye problem, I will become the biggest advocate of the seeds EVER! I have to tell you, I love so much that you refer to food as fuel. It is, but so many out there really don`t see it that way. Many are so consumed with counting calories and restriction. You are such a healthy role model, and have been for the whole time you have been writing this blog. So wise! i always use my polar F7 for workouts, but since i got a garmin 305 for my birthday i use that for outside runs and bikerides to track mileage. but the polar is nice and small for the indoor workouts, such as insanity. gotta keep my eye on my heartrate during those workouts forsure. 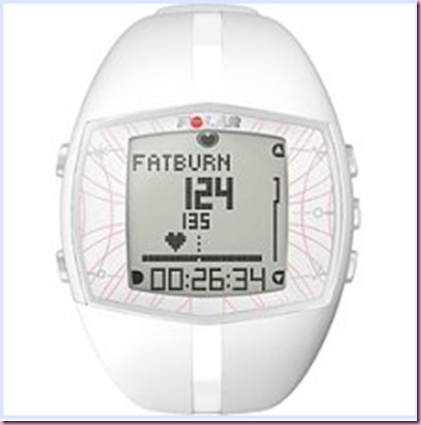 i was always interested in buying a heart monitor to make sure i meet the fat burning stage and now i really want to buy one 🙂 !!! did you find any good deals when you purchased yours?? What is your criteria for complete recovery between intervals? This year with running being my overall main exercise (until i injured my ankle) – i wanted a HR monitor with built in GPS. 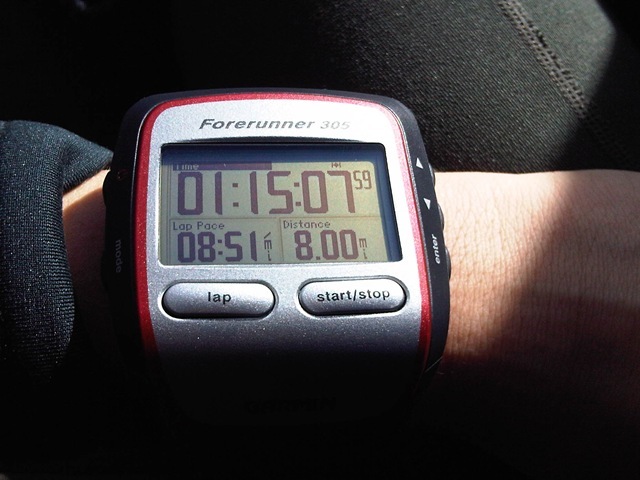 My BF gave me the Garmin Forerunner 610 (touch screen, inbuilt GPS)! It’s amazing!! 🙂 I still haven’t used it much for actual running but it is so good! i love it! I love my heart rate monitor! I have a polar and its a whole new challenge to work out in “zones”. I’ve never used one before, but have been interested in learning more. I would love to hear how you like your new one! I’m so happy you did a post on hear rate monitors; I’ve always been intrigued by them, but perhaps a lil’ more skeptical than intrigued and that’s kept me from buying one. Skeptical, and wary of getting sucked into analysis paralysis, which would probably happen for me. But your post is really informative and I can see the value in investing in one, esp now that I teach power yoga and have really changed up the ‘ole exercise routine – I like to think I’m in tune with my body’s hunger and fatigue signals, but sometimes I’m at a loss as to how much I should fuel myself for muchos activity-os. Thanks for this! Just got a Garmin 305 and am LOVING it! What a healthy way to start your day! I’m not sure what type of almond milk you use, but not too long ago my chiropractor brought up to me that many almond milks are loaded with sugar and that the unsweeetened variety don’t have the healthiest ingredients either. I began my search and discovered Ani Phyo’s Raw Food Kitchen on YouTube. She has several raw recipe videos. Back then she had one for raw almond “mylk”. I make it and keep it on hand all of the time, now. You just blend medjool dates (they’re the best), water, almonds that have been soaked overnight and rinsed several times, and if you desire, a little vanilla bean or vanilla extract. It’s wonderful! good luck with that little gluten-free bun in your oven! It sure appears you are taking good care of it! I’ve never used a heart rate monitor. I’m worried I would become obsessive about checking it, but I know it would be a good thing to have while I’m training. One day when I can afford one, I may try it out. I’m looking forward to hearing how you like your new one! 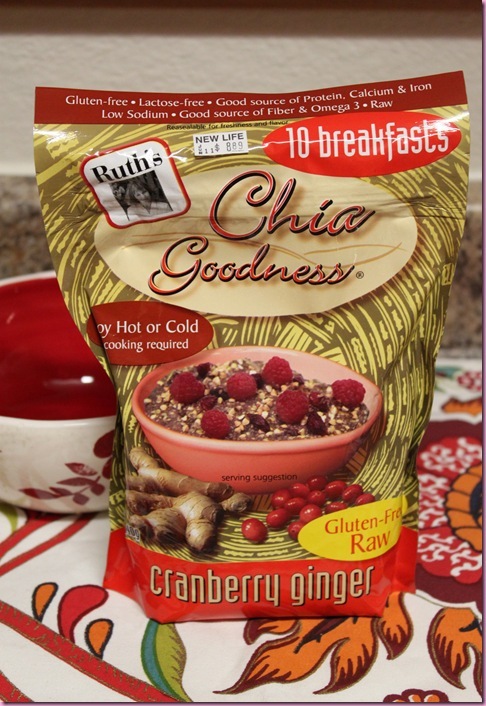 That Chia goodness looks so great! 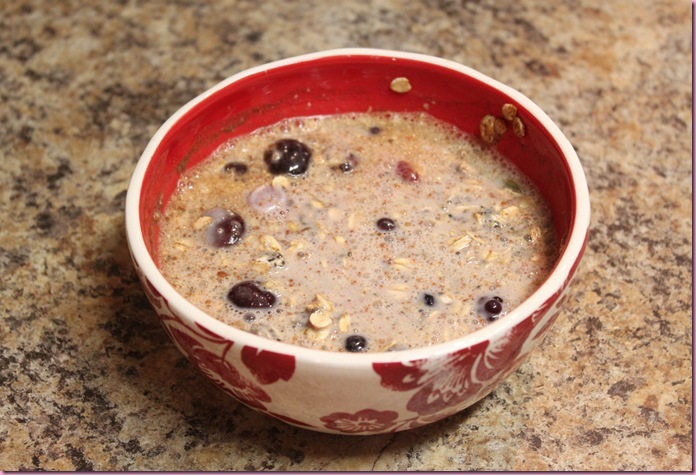 I don’t like chia seeds by themselves, but that overnight bowl would be fabulous! I have that same Polar HRM (in PINK too!!) and I love it. But then I broke it. 🙁 I have been eyeing the Garmin 110 for a year now. I might just have to break down and buy it. I would like to hear if you like the new Polar though. I have a question about your new watch: Does it have an intervall setting? I do some walking/running workout and I’d like to have a heart-rate monitor that beeps, like: 10 minuts walk *beep* 1 minute run *beep* etc…. Does yours do this? Hey Gina– I’m in the market for a heart rate monitor (I’ve never used one before), and I was wondering if you wear your new one all the time, or only during teaching/workouts? Thanks! What heart rate monitor do you use presently?